The sun dips. Temperatures drop. The adventure begins. Zip. Zip. Zipped up. 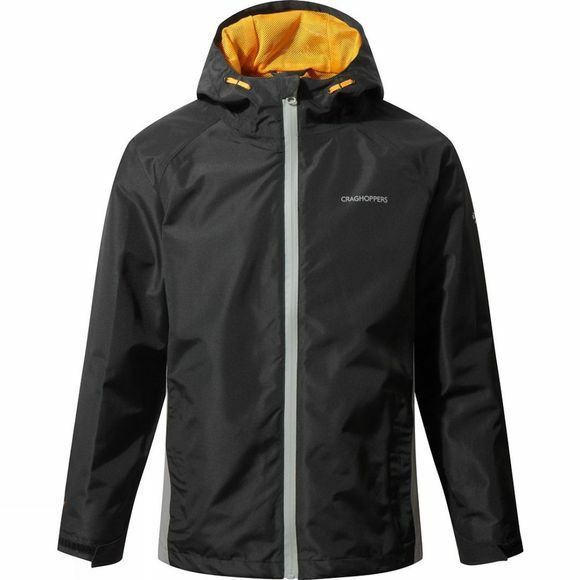 The sound of the Kids Discovery Adventure Waterproof Jacket from Craghoppers in the wild. Light. Warm. Made for young ones who flit around like mad things.